In yoga last week we were crouched down in crow pose, our arms stretched out in front of us, doing breath of fire and staring off into infinity. My beautiful teacher invited us to picture the light from our hearts breaking apart any barriers to living our purpose. In the middle of picturing my heart chakra busting things up like a Star Wars movie I felt a huge grin bubble up to my lips. Oh! I remembered. I get to have fun doing this! Kundalini yoga can be really hard work. As can the dedication to personal and spiritual growth. You get to hang out with your shadow, stare into the not-so-niceness of your ego, dig in the trenches of emotion. Starting and growing a business isn’t for the feint of heart either. I tend to be more serious than I need to be anyway so I welcome a reminder to lighten up. Working with my clients is fun (SO fun!). Figuring out marketing strategy (because it’s not my strength) makes me want to crawl under the covers. Reading or playing with my daughter? Fun. Getting her ready for bed when I’m exhausted too? Not so much. Life is like that. 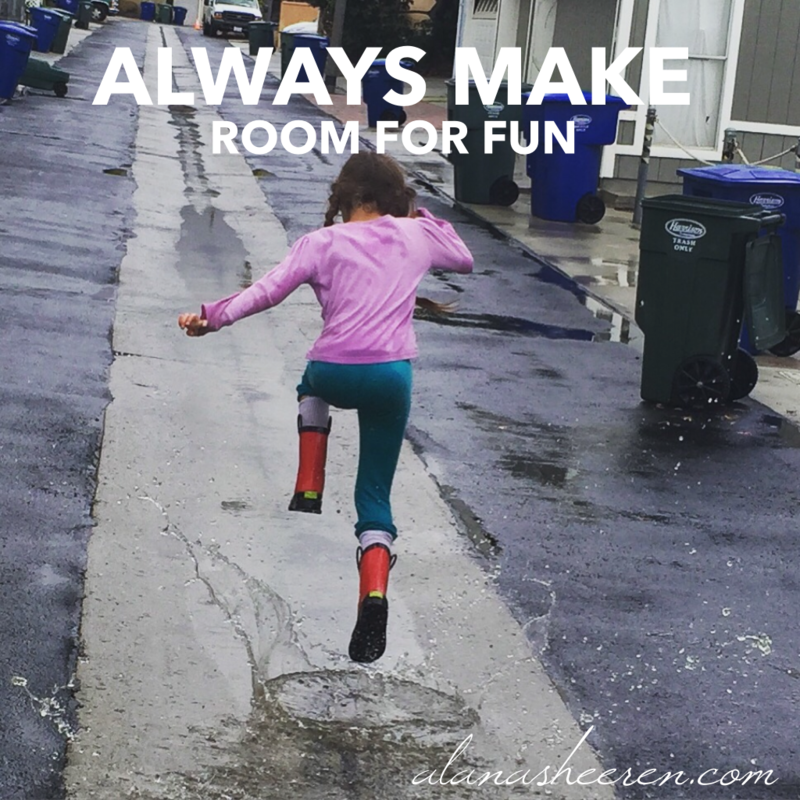 So the mantra this week – the reminder and the invitation – is to bring fun into the places where it doesn’t naturally exist. And to add more fun to your to-do list. Leave your answer in the comments for inspiration, or share your struggle if you’re temporarily fun-challenged. We’re all in this together. Here’s to making room for it all. This entry was posted in Uncategorized and tagged affirmation, awareness, freedom, mantra, perspective, self-care, spiritual growth, wisdom. Bookmark the permalink. For fun, ha, I just sat down on the carpet and built my boys a (even typing it makes me smile!) Lego space police prison that freezes prisoners once they are captured inside. Including a wheel to turn on the frost powerrrrs and a lot of guns. Don’t ask me why I came up with something that I normally wouldn’t approve of (my evil side is taking over ;-)) but I had so much fun putting it together – and obviously even more when the boys started to play with it. I guess Star Wars is taking us to unknown territory!